You are at:Home»iPhone»Repair»My iPad Screen Is Cracked! Here’s The Real Fix. Your iPad has a cracked screen and you want to get it fixed. It can be difficult to know what your iPad repair options or which one is best for you. In this article, I’ll explain what to do when your iPad screen is cracked so you can get it fixed today! It’s important to assess how badly your iPad screen has been cracked before trying to decide where you should get it repaired. If the screen is completely shattered, you’ll probably want to get it repaired sooner rather than later. If only a small portion of the display is cracked, you may just want to live with it. I had a tiny crack on my iPhone 7 that I never got fixed. After awhile, I almost forget it was there! Small, thin cracks typically don’t affect what you can and can’t do on your iPad, but they can definitely be an eyesore. Furthermore, if you ever plan on trading in your iPad or selling it to someone else, you’ll probably have to get it repaired. You may not be able to trade in your iPad if it has a cracked screen, and you won’t get as high of a resale value if you try to sell it with a less-than-perfect display. Under very rare circumstances, Apple may repair a your iPad’s display for free if it only has a small, single hairline crack. If your iPad falls into this category, and it’s covered by an AppleCare+ protection plan, it may be worth your while to try your luck at the Apple Store. Just don’t go in expecting a free repair, as this almost never happens. In the paragraphs below, I’ll talk about preparing your iPad before getting it repaired and recommend some of the best companies that can fix its cracked screen as soon as possible! It’s a good idea to save a backup of your iPad before getting its screen repaired. That way, if something goes wrong while it’s getting fixed, you won’t lose any of your data or personal information! To back up your iPad, connect it to your computer and open iTunes. Click the iPad button in the upper left-hand corner of iTunes, then click Back Up Now. 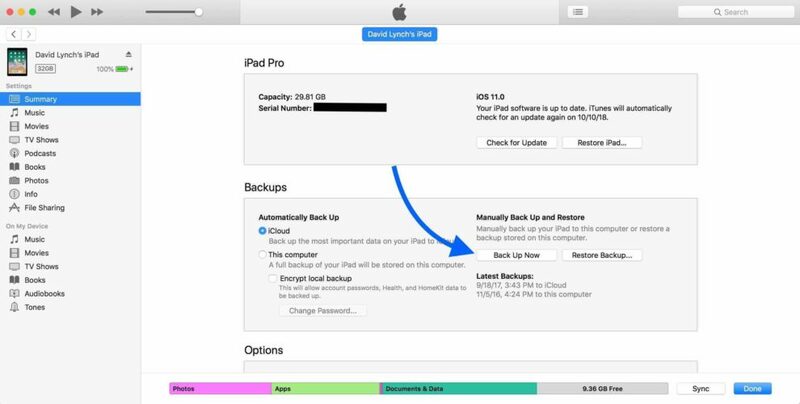 Check out our YouTube video if you’d rather back up your iPad to iCloud from the Settings app! It’s a good idea to cover upgrade the cracked screen with packing tape or a large ziplock bag. That way, you won’t accidentally cut yourself on a sharp piece of glass! You have a few good repair options when your iPad screen is cracked. If you have an AppleCare+ protection plan for your iPad, your first trip should probably be to the Apple Store. Your AppleCare+ plan covers you for two incidents, but you’ll be charged a $49 service fee. You can set up an appointment at your Apple Store online just to make sure you don’t have to stand around at the store all day. Apple also has a mail-in repair program, which is a good option if you don’t mind the 1–2 week turnaround time. Unfortunately, Apple iPad repairs can get very expensive if you don’t have AppleCare+. Repairs on newer iPads can cost as much as $599! If you’re looking for a less-expensive option, I highly recommend the services of Puls, an on-demand repair company. They’ll come to you and fix your cracked iPad screen on-the-spot. Can I Replace The Screen On My Own? You could attempt to replace a cracked iPad screen on your own, but I wouldn’t recommend trying it. Repairing an iPad is an incredibly difficult task that requires a special set of tools. Furthermore, Apple won’t save the day if you make a mistake when trying to fix your own iPad. As soon as you open it up, your AppleCare+ warranty is voided. If you try to bring your iPad into an Apple Store and an Apple Tech sees that you’ve opened up your iPad, they’ll refuse to fix it for you. Long story short, don’t try to fix your cracked iPad display on your own unless you have experience replacing screens and aren’t afraid to void your AppleCare+ plan. Crack A Smile, Your iPad Will Be Fixed! You now know what to do to get your cracked iPad screen fixed as soon as possible. 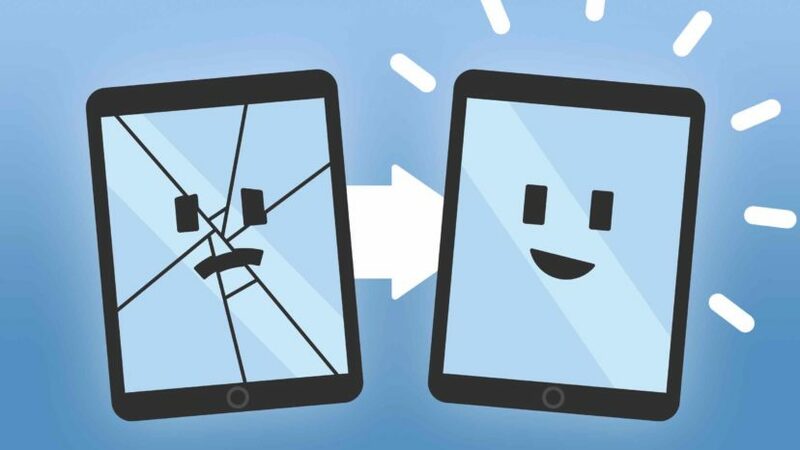 I hope you’ll share this article on social to help teach your family and friends what to do when their iPad screen is cracked! Leave any other questions you have about your iPad down below in the comments section. Previous ArticleMy iPad Screen Is Black! Here’s The Real Fix. Next Article My iPad Screen Is Frozen! Here’s The Real Fix.